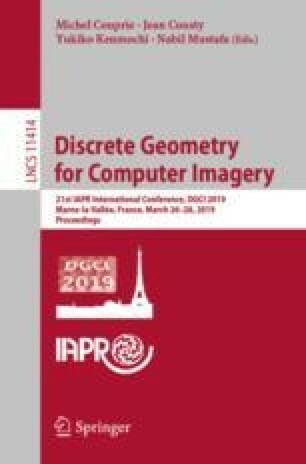 Hierarchical image segmentation provides a region-oriented scale-space, i.e., a set of image segmentations at different detail levels in which the segmentations at finer levels are nested with respect to those at coarser levels. Guimarães et al. proposed a hierarchical graph based image segmentation (HGB) method based on the Felzenszwalb-Huttenlocher dissimilarity. This HGB method computes, for each edge of a graph, the minimum scale in a hierarchy at which two regions linked by this edge should merge according to the dissimilarity. In order to generalize this method, we first propose an algorithm to compute the intervals which contain all the observation scales at which the associated regions should merge. Then, following the current trend in mathematical morphology to study criteria which are not increasing on a hierarchy, we present various strategies to select a significant observation scale in these intervals. We use the BSDS dataset to assess our observation scale selection methods. The experiments show that some of these strategies lead to better segmentation results than the ones obtained with the original HGB method. The research leading to these results has received funding from the French Agence Nationale de la Recherche, grant ANR-15-CE40-0006 (CoMeDiC), the Brazilian Federal Agency of Support and Evaluation of Postgraduate Education (program CAPES/PVE: grant 064965/2014-01), Brazilian Federal Agency of Research (CNPq/Universal 421521/2016-3 and CNPq/PQ 307062/2016-3), Fundo de Amparo Pesquisa do Estado de Minas Gerais (FAPEMIG/PPM 00006-16), the Peruvian agency Consejo Nacional de Ciencia, Tecnológica CONCYTEC (contract N 101-2016-. FONDECYT-DE). The first author would like to thank Brazilian agencies CNPq and CAPES and Peruvian agency CONCYTEC for the financial support during his thesis.